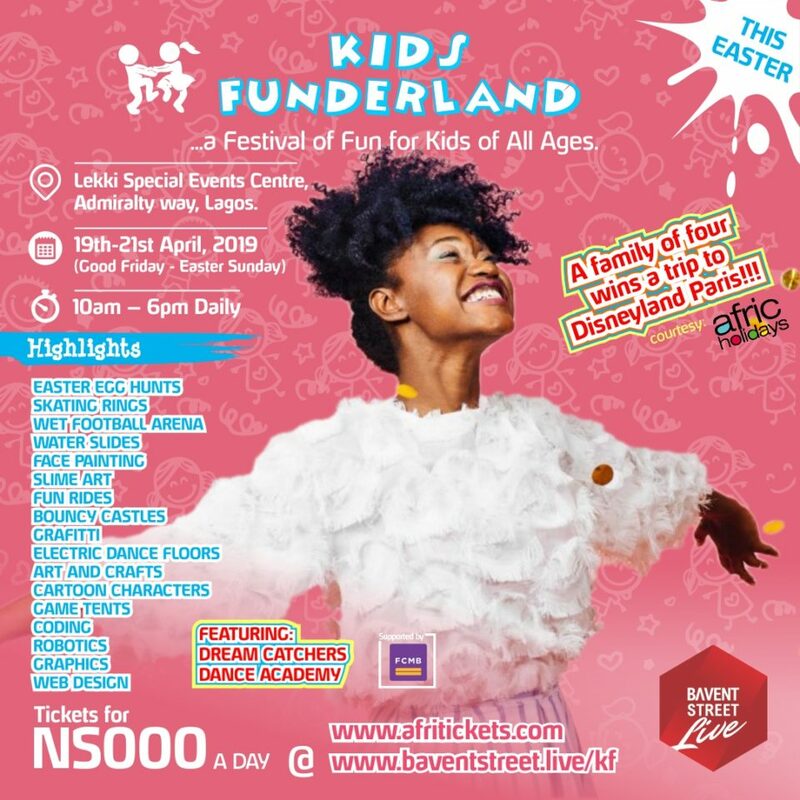 Kids Funderland will focus on themed activities like Easter egg hunts, electric dance floor, art and crafts, cartoon characters and a special performance by Dream Catchers Dance Academy. These activities are planned not just to keep the kids entertained but also expose them to educational activities created to ignite interests in a wide range of topics such as coding, graphic design, robotics and web design. 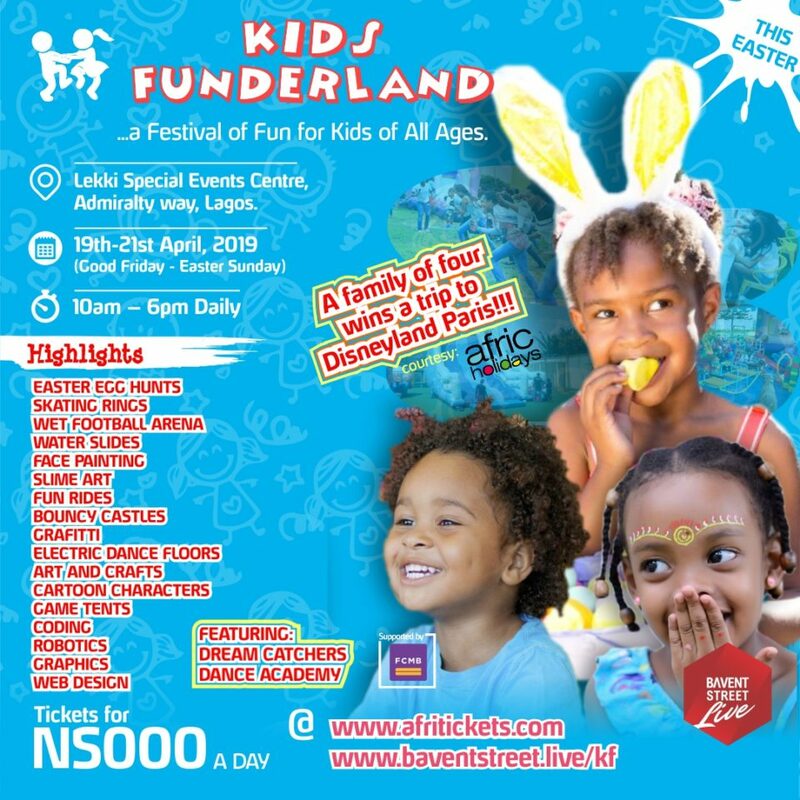 “Kids Funderland is an event you do not want to miss out on. 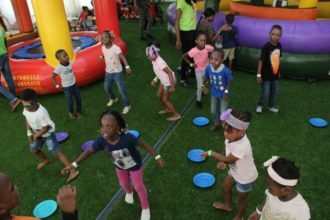 Aside from the amazing activities, other highlights at the event are the giveaways. 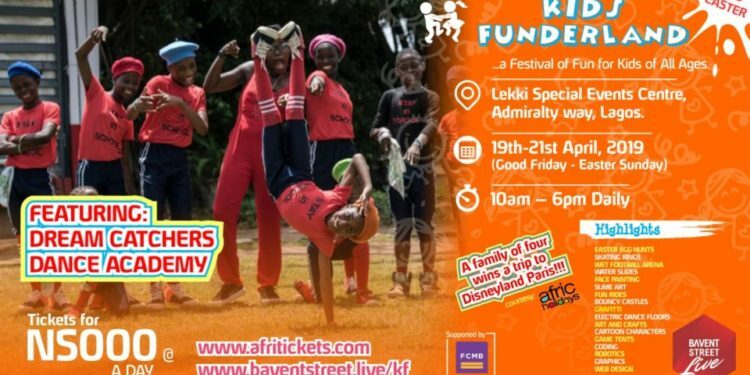 Families stand a chance to win special prizes; such as shopping vouchers, a weekend stay in a luxurious hotel in Victoria Island, Lagos and an all-expense paid trip to Disneyland in Paris for a family of four. I bet you do not want to be anywhere else”. Follow @KidsFunderland on IG, Twitter and Facebook for more information or call 08163759763 or 08183816785.